This adorable T-rex is a friendly dinosaur that will engage baby on-the-go. Torin the T-rex comes packed with features for babies to discover and explore as they develop their senses. Developmental features include a squeaker nose, crinkle tail, high contrast patterns and colorful loopy ribbons. 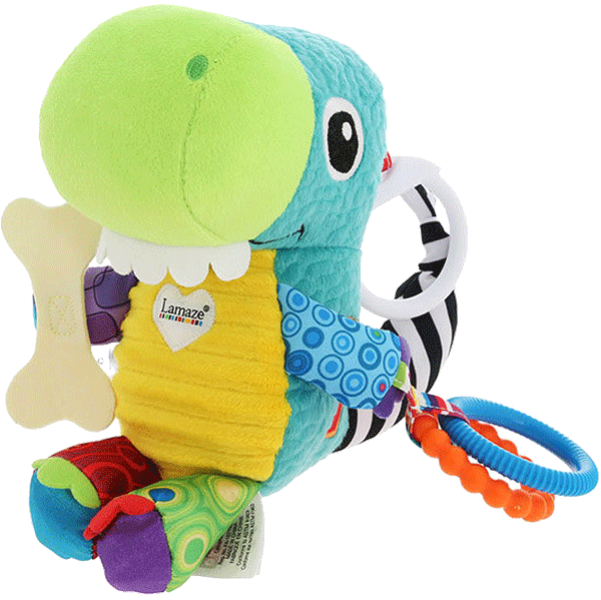 This Lamaze Play and Grow character is made with premium fabrics and includes a Lamaze link, making it perfect for fun on-the-go play.